Yes indeed! How did you know? Do you know this article? 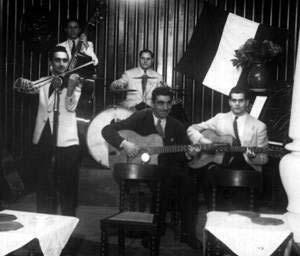 The most misidentified man ever in jazz manouche. Often mistaken for Django, but sometimes mistaken for Pierre Ramonet, too, even by experts. Pierre - what article are you referring to? I am referring to the obituary of Vivian Villerstein by Alain Antonietto. And he starts the article exactly as you describe: as the most misidentified man in jazz. I don't know the article. The oracle aka Teddy Dupont has posted a similar picture some years ago. But Vivian is normally playing violin, no? It might be Vivian comping on archtop in Joseph's Bric-à-brac video. 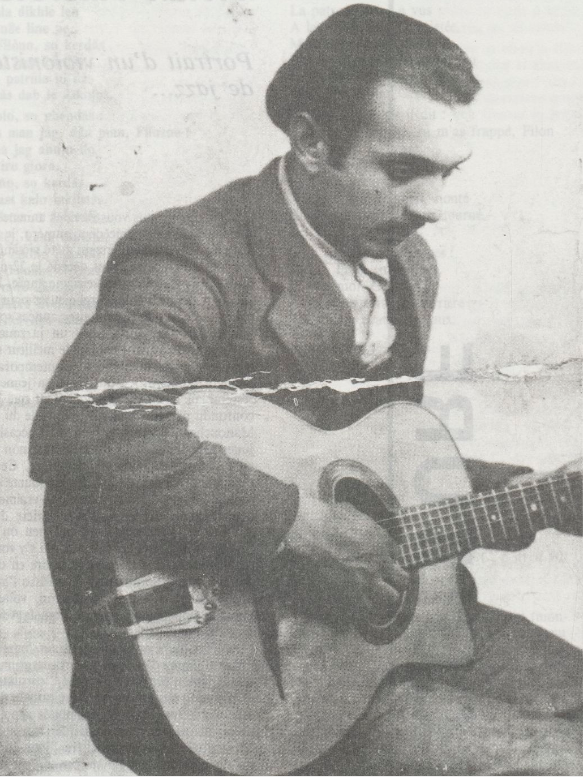 Mario Maccaferri supplied that photo to Maurice Summerfield for his book "The Jazz Guitar Its evolution and its players" believing it to be a picture of Django. It has been claimed that Maccaferri and Django never actually met. I think all the other photos I have seen of Villerstein have him playing the violin. Here is one with Joseph Reinhardt. That's an awesome picture of Joseph's band Roger, very old too! Who's the 2nd guitar? What's the story there?